Got bed bugs? 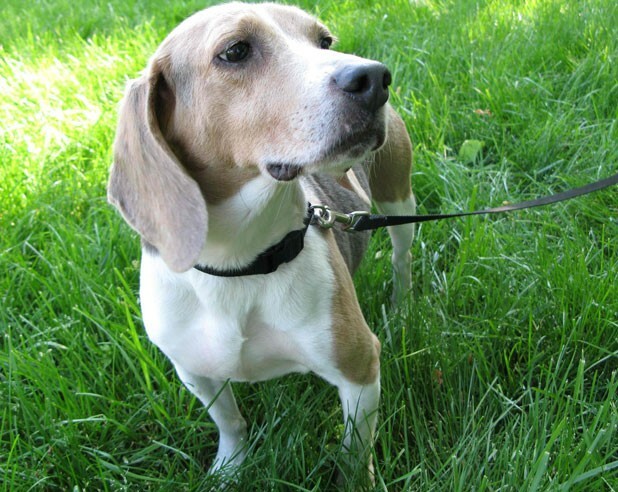 If so, Buster the beagle could be your new best friend. The 4-year-old pooch is a trained bed-bug-sniffing hound with Vermont Bed Bug Dog of Burlington. For a modest fee, Buster and his handler, Padraic “Paddy” Reagan, will visit your home or business in search of the tiny bloodsuckers and their larvae. You could say that Buster and Reagan are a match made in hell. A few years ago, Reagan and his girlfriend, Jennifer Martin, had a devil of a time getting rid of the bed bugs that had infested their public-housing apartment in Burlington. Although the Burlington Housing Authority bombed their apartment with chemical pesticides, when the couple returned, the bed Bugs were still alive and nipping. Frustrated and itchy, Reagan and Martin eventually had to toss out most of their furniture and personal belongings. It wasn’t until they hired a pair of bed-bug-sniffing dogs from Connecticut to pinpoint the trouble spots that they were able to fully eradicate the problem. Reagan was so impressed with the bug hounds that he decided to invest in one himself. In November 2010 he adopted Buster, who had already been trained by J&K Canine Academy in High Springs, Fla. Reagan launched his business soon thereafter. Business has been booming ever since, he reports, especially as bed bugs have crept their way back into social prominence, infesting even some of the toniest five-star hotels around the country. Today, about half of Reagan’s work is in summer camps, hotels, school dormitories and other places where transients — and their parasites — routinely bed down for the night. As Reagan explains, bed bugs today have largely evolved a resistance to chemical pesticides. As a consequence, about the only way to kill them is to heat a room above 130 degrees. But to do so cost effectively, he explains, requires knowing precisely where the bugs are hiding out. Compared to a team of human observers, who would take hours — or even days — to find all the bed bugs, Reagan says he and Buster can work an average-size home in about 20 minutes, for about $225. During that inspection, Buster will alert Reagan to where bed bugs are hiding or have left behind their shells, eggs or feces. How does Reagan keep Buster’s nose honed? He keeps a colony of bed bugs at home, which he uses to train the dog. On a recent weekday morning, the team was inside the Monkey House bar in Winooski, where Reagan works part time. He had stashed several sealed vials there for Buster to find. After a command of “Find your Bs!,” the eager beagle got to work, circling the room clockwise and sticking his sensitive sniffer under chairs, tables and couch pillows — even electrical fixtures. At one sofa, Buster stopped and scratched eagerly. He discovered the first of several vials and was immediately rewarded with food. Thus far, Reagan says business has been “sustainable.” It shows no sign of letting up.